Inverters convert the 12V or 24V DC energy into household 115V AC electricity to operate standard business and household appliances, televisions and tools when land power is not accessible, or when running a generator is not an option. 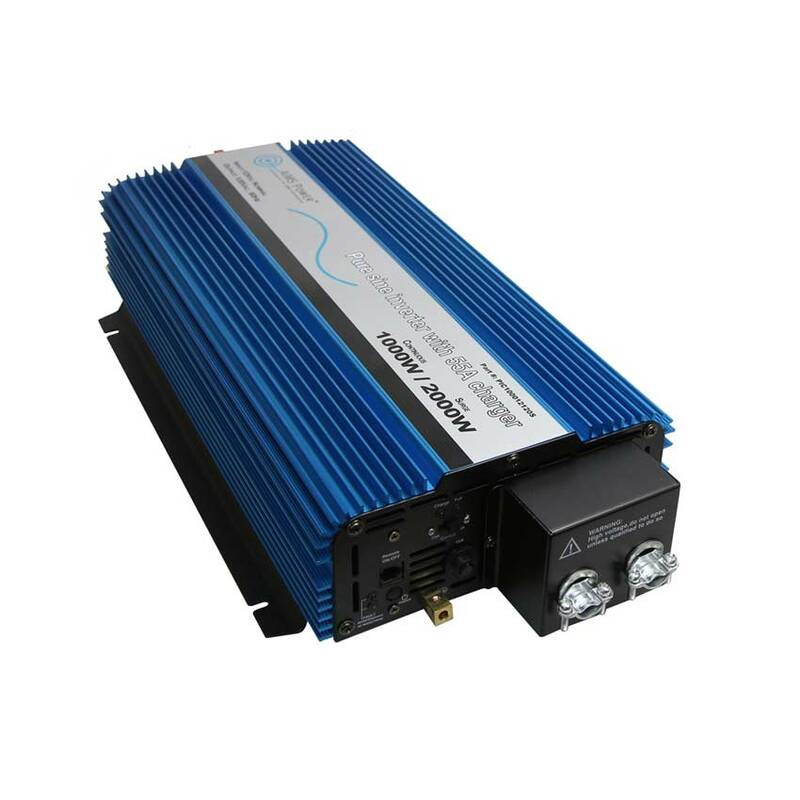 Inverters range from small 100W models, good for small devices, to 4,000W models that can run electric refrigeration systems. The size you select is governed by the maximum power needed at one time. A computer (200W), TV (200W), and microwave (800W) all running at the same time will need an inverter that produces more than 1200W of constant power. If you have any questions please contact us here and a sales associate will get back to you as soon as possible.